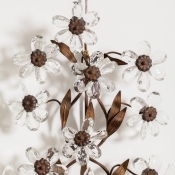 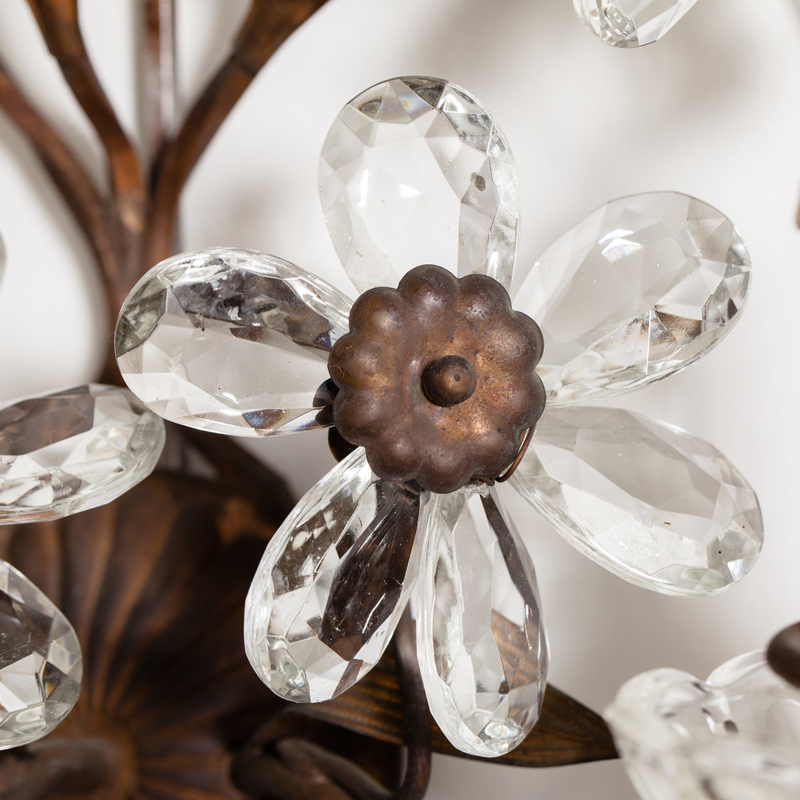 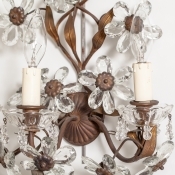 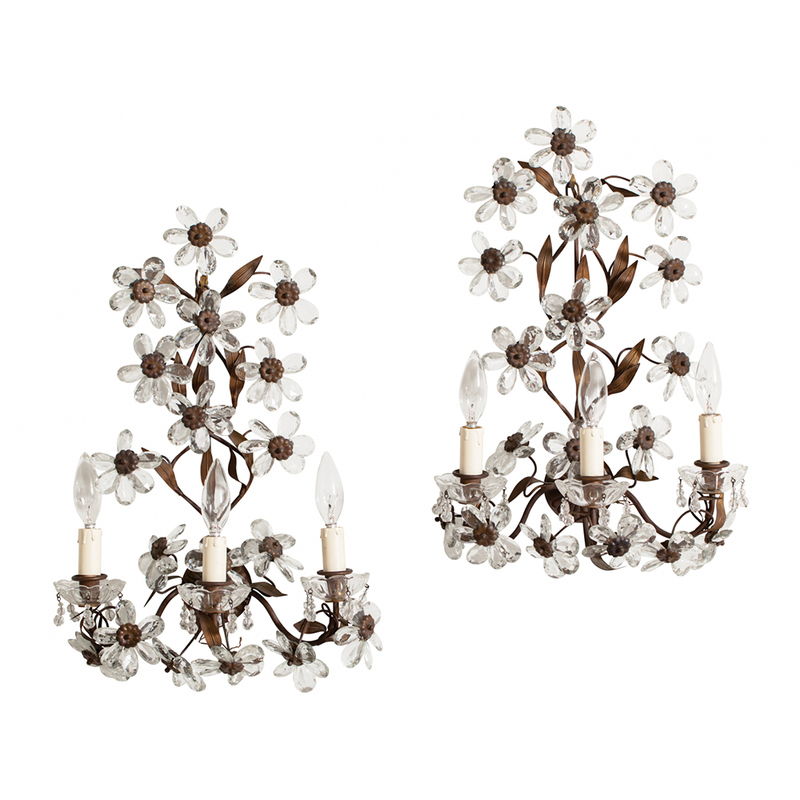 This pair of French crystal flower and brass sconces date from the early 20th century. 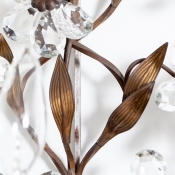 The flower crystals sit in three tiers and are surrounded by brass leaves in perfect proportion. 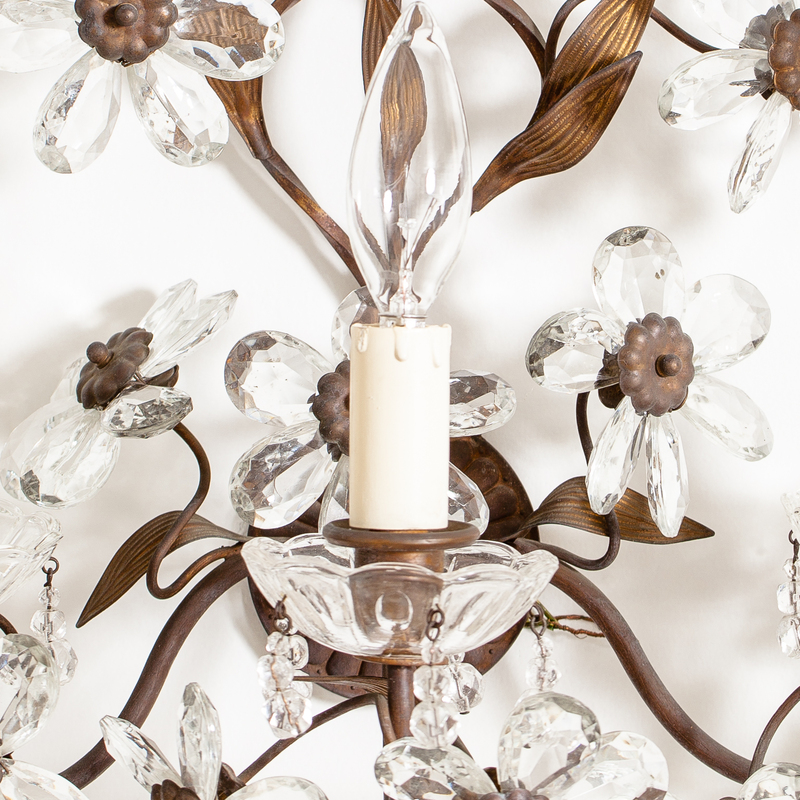 Each sconce has three lights, newly electrified.